Cats are smart and sneaky creatures who aren’t afraid to bend the rules to get what they want! A cat named Minnie is a great example of this. 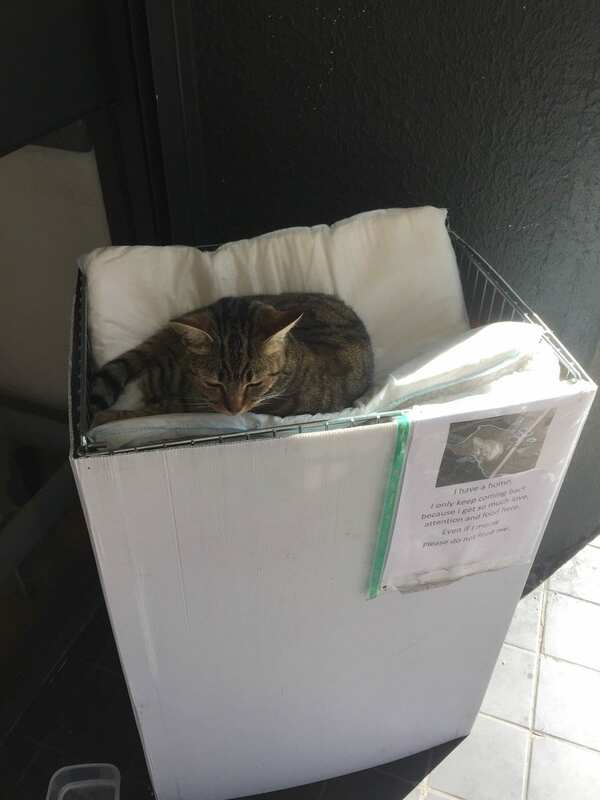 This cat has a good home with a loving owner who gives her plenty of food and treats. But Minnie decided that she wanted a few more treats in her diet. And so, the cat posed as a stray. 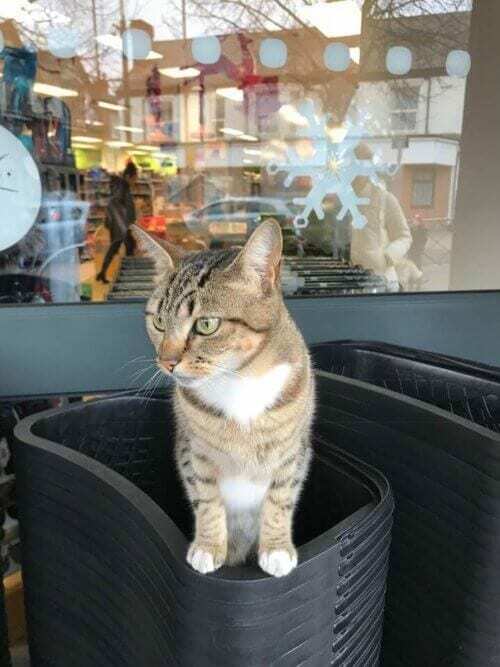 Minnie regularly hangs out in front of her local Co-op in Netherfield, England. Her owner, Andrea Blower, told the BBC that four-year-old Minnie has been visiting the Co-op for about a year. The cat loves hanging out in front of the shop and getting treats. When Minnie first started going to the Co-op, Andrea tried to stop her. Every time Minnie got out, Andrea went over to the shop and brought her home. She ended up doing this about eight times. Andrea then tried locking Minnie inside, but the cat injured herself trying to escape out the window. After that, Andrea gave up stopping the cat—it was clear Minnie was going to do what she wanted. 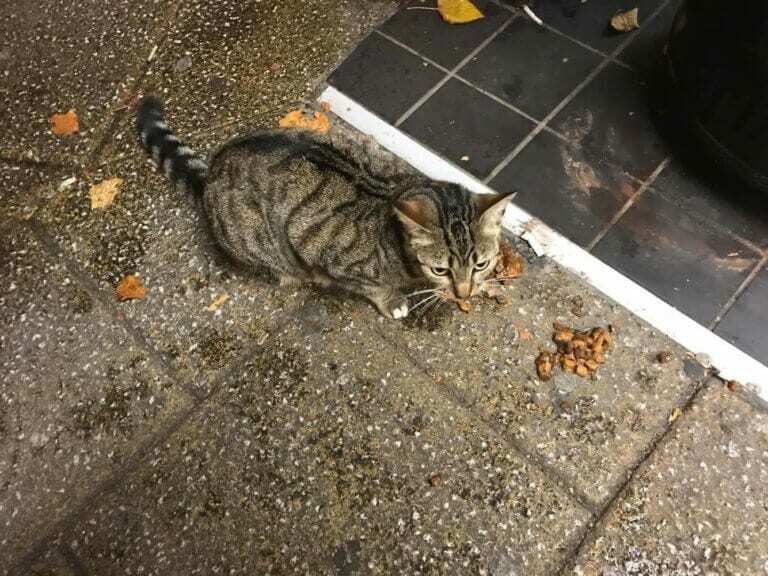 “I go and check her two or three times a day but there’s no point bringing her home because she scratches someone or bites someone and goes out the door again,” Andrea said. Minnie doesn’t just go to the Co-op to get fed—she also simply loves attention. Whenever somebody stops to pet her, she purrs. 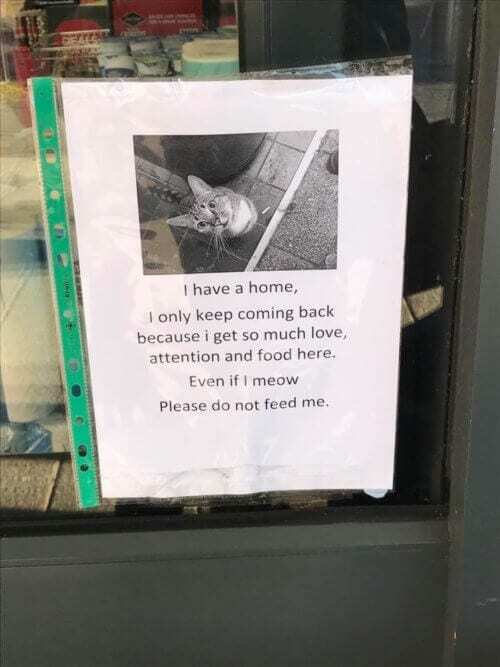 Even with the sign, people do still try to feed Minnie—she’s just too cute to resist. 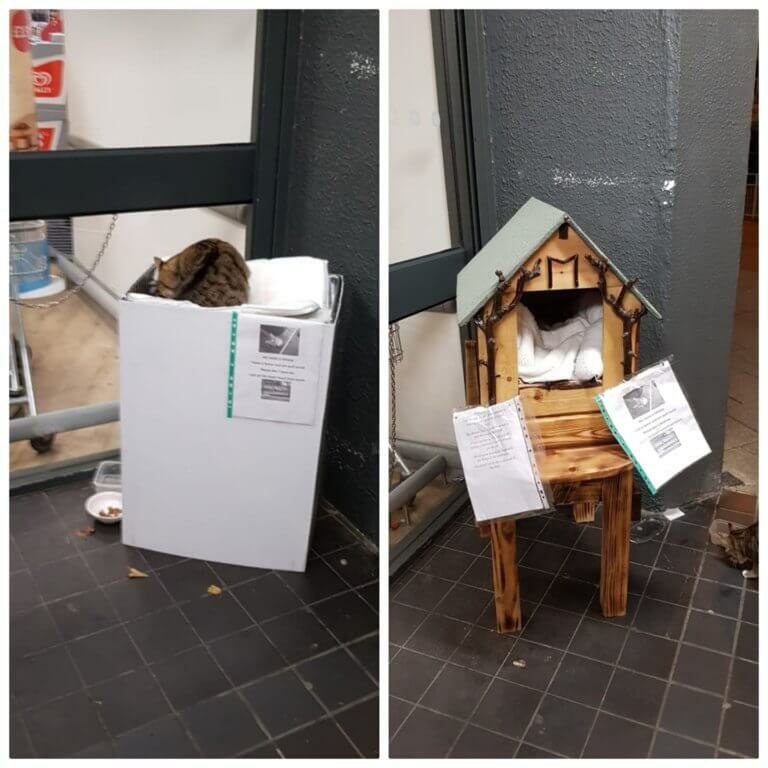 The Co-op does their best to stop people from feeding the cat—whenever somebody asks if they can give her a treat, the store says no and explains she has a home. The Co-op also recently renovated Minnie’s home-away-from-home. They built her an adorable little cat house to shield from the rain. Minnie has now become a local celebrity. Some shoppers go the Co-op just to see her. Some local politicians have even stopped by to see Minnie. One politician wrote about their encounter with the cat on their Twitter page. Minnie is an adorable, stubborn cat who has two great places to call home! 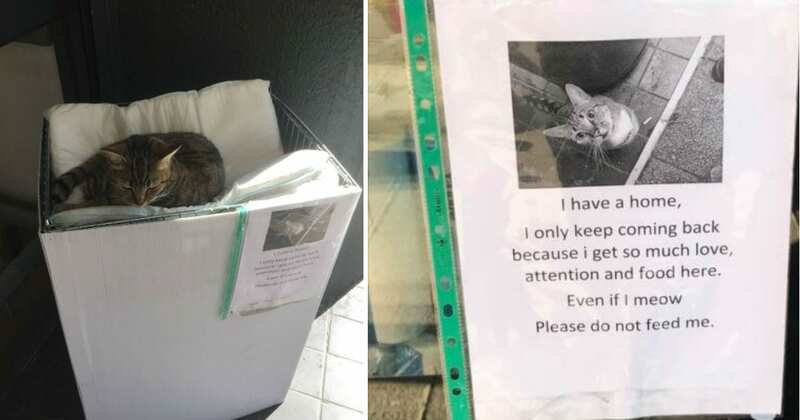 We’re glad this cute cat is getting all the attention she wants.